Contact | About Us | Merchandise | Donate! DIY Green Livin' with The Green Man! Finally! Here is your episode-by-episode one-stop shop for further information, resources,tips AND tricks that will help you live a GREENER life! Green Man Does His Laundry! Just like anyone, Green Man wears his clothes! Which means, of course, that at some point they require washing! Green Man naturally approaches this task in an ecosensitive manner, and finds that doing so is astoundingly easy! Here are a few of his fave links for more green laundry info! Great laundry info and articles from TreeHugger.Com! Green Man has lots of fun conserving paper in every facet of his extrordinary life! And, he also enjoys buying 100% POST CONSUMER recyled products whenever he has a need for paper! This includes everything from sheets of paper to paper towels (which he uses VERY sparingly) and even toilet paper! What fun! Okay! Wasn't that fun? 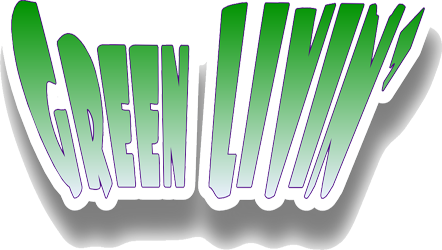 All the rest of the episodes will eventually get their Green Livin' info onto this page too! We can't wait... can you? Prop Art by the Green Man!